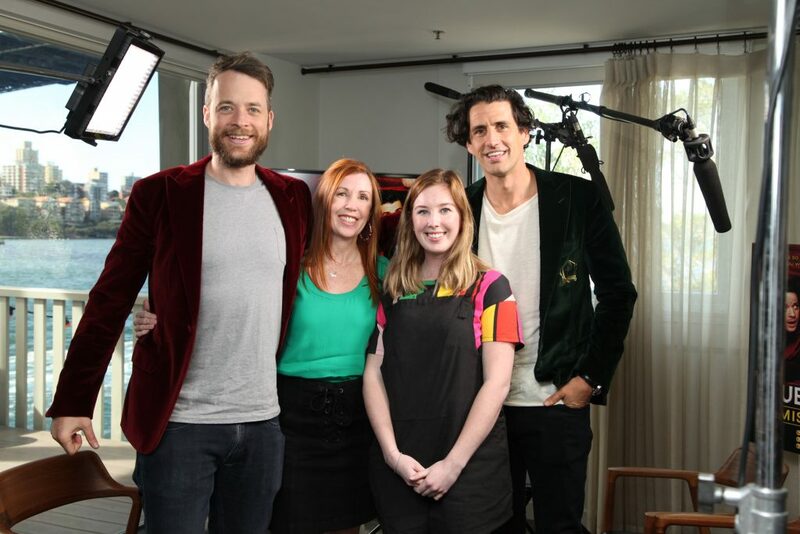 A couple of weeks ago my daughter and I were lucky enough to interview Hamish Blake and Andy Lee! Hamish and Andy are all about the people and when it comes to involving their listeners, the ‘people’, for Season 2 of their TV show, True Story, it was no different. Hamish and Andy were sick of the big media outlets getting all the interviews – what about the smaller publications – they wondered. So, when they began the promotion for Season 2 of their TV show, True Story, they invited some of the lesser known media outlets. That’s where I come in, with Holly, and our three dachshunds – Charlie, Barney & Rosie. Well, the dogs were there in spirit anyway – as you can imagine…. 3 sausage dogs racing around Pier One Sydney Harbour may have caused a bit of mayhem! (I kind of wish that had happened haha!) Anyway, we did the next best thing – we brought snags on sticks. From sailing podcasts, to quilting blogs to family newsletters and my own little blog Welcome to My Library where it’s all about books, travel and dachshunds, we all turned up at Pier One Sydney Harbour for the People’s Press Junket to interview Hamish and Andy about their amazing TV show. 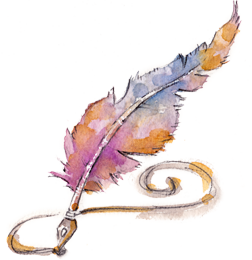 True Story is all about ordinary people with extraordinary stories and brings to life the best tales you’ve never heard. As each storyteller recounts their tale to Hamish and Andy it is cinematically recreated for viewers with hilarious results. Added comedic elements delivered by a huge cast of fabulous Australian actors, including John Waters, Rob Sitch, Michala Banas, Dave Hughes, and Anne Edmonds, really adds a sense of grandeur to the original story. We love Hamish and Andy and have been huge fans for years so the lead up to the interview was EXCITING!!! Holly and I were SO excited to be at the People’s Press Junket that we could hardly speak. True story. 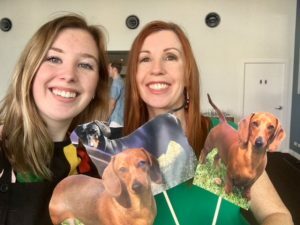 We were all over the giggling with excitement thing – that we could do extremely well – but as the time approached to interview the boys there were some concerns that the entire interview would just be me and Holly giggling and we would have no explanation as to why we turned up with photos of sausage dogs on sticks. I’d like to say that all the hard-hitting questions were asked. I’d like to say I didn’t talk about dachshunds too much. I did manage to ask a few *half decent questions about True Story. I did giggle **a bit. *half-decent: They may have only been a quarter decent. **giggle a bit: I actually giggled a lot. 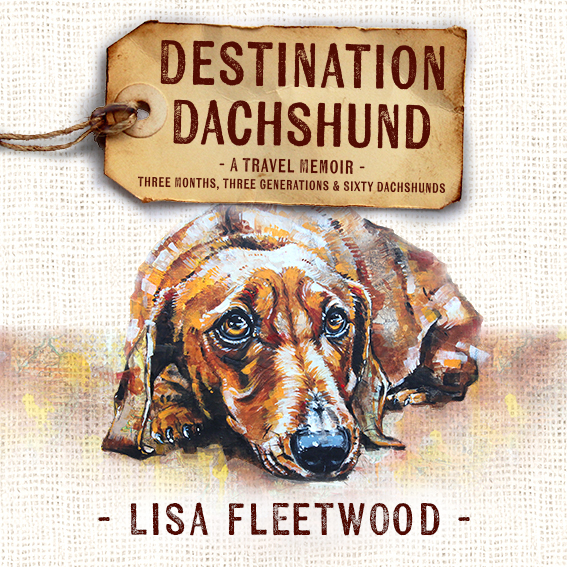 I did manage to give them a present – my own true story in the form my book – Destination Dachshund: Three Months, Three Generations & Sixty Dachshunds. Hamish even asked the funniest question about the book. It made my day! Find out what it was by watching the full interview below on YouTube. And, don’t forget to watch Hamish and Andy’s True Story. Tuesdays at 8.40pm on Channel 9. It is seriously awesome!